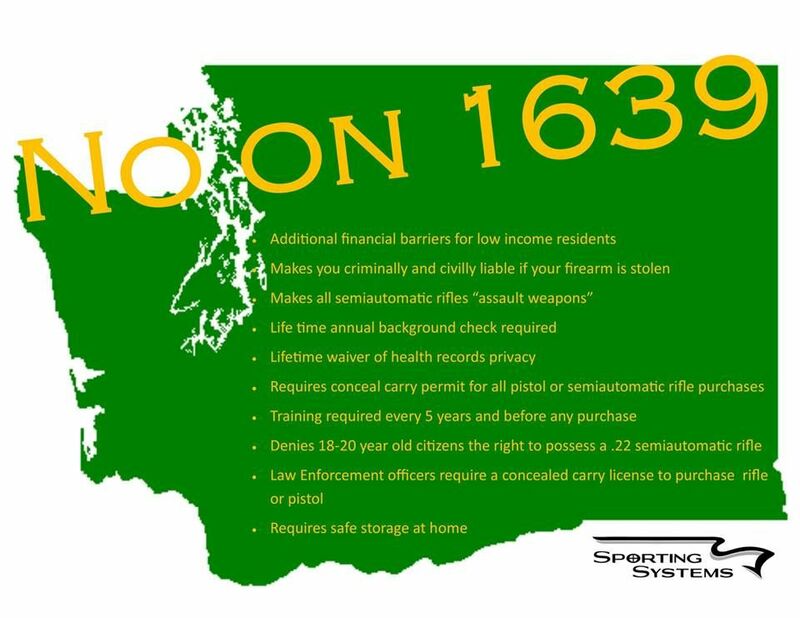 Don’t allow the deceptive practices of paid signature gatherers fool you, I-1639 is only about further infringing on your right to self defense. Isn’t it illegal to misrepresent the intent of an initiative? I was asked by a signature-gatherer to support this bill. I didn’t know what it was, but it was represented as a bill to prohibit a tax on groceries. I was suspicious of that claim due to the fact that Democrats control the Legislature and the Gov’s office, so I declined to sign the petition. Not one mention was made of a ‘gun safety measure’. Not one word in the text of the initiative concerns a tax on groceries. My suspicions have been confirmed. I would hope it is illegal. I have read comments of filing allegations against them for this, but we’ll see. As far as I am concerned, if you can’t be honest in seeking signatures for a ballot initiative, it shouldn’t be permitted on the ballot. The misrepresentation appears to have worked quite well. The sheet I was offered was almost full of signatures. They we’re right outside the local Walmart the other day. 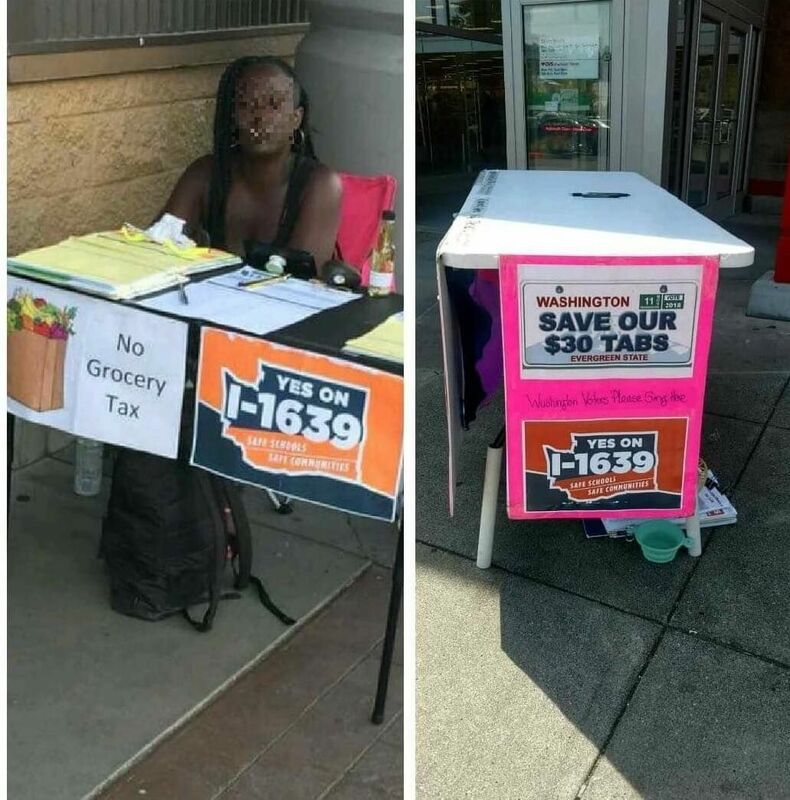 Not only did the signs they have purport to be a ban on a grocery tax, the person who asked me to sign said very plainly that it to prohibit a grocery tax. I’m going to contact my State representatives to ask them about this. I emailed Reps. Paul Harris and Vicki Kraft. It was forwarded by Paul’s assistant to a Washington State Elections official. Her response was “Unfortunately there are few regulations regarding initiative signature gatherers…”. She sent me the name and email address of the person who is sponsoring the initiative (Paul Kramer office@wagunresponsibility.org) and suggested I contact him. She also recommended that I ask my State reps to sponsor legislation that would regulate the process and prohibit misrepresentation. I’ve done both of those things, so we’ll see what happens.